Apologies for not having an article last week. The combination of NBA being back in play and work made for a extremely busy week. 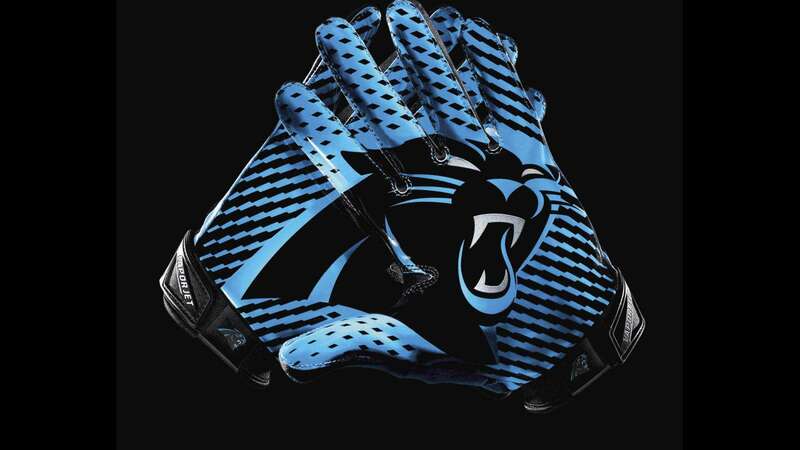 It looks like the “Cardiac Cats” are back, as the Panthers gave all of us fans a need to check our blood pressure yet again. Cam is showing why he deserves to be treated as a top QB in the game, not just fantasy football. He faces yet another tough task Sunday versus the Ravens, who give up the fewest yards in the league and the second fewest through the air. Let’s jump right in! Cam Newton ($5,800 DraftKings, $8,100 FanDuel): As I mentioned above, on paper this should be a very tough matchup. This shows with his price coming down on both sites, as he is the 10th ranked QB on DraftKings and the 6th on FanDuel. This game has slugfest written all over it, and games like this we usually fade (don’t play any players). With Cam, however, the rules are a little different, as his price is enticing enough on DraftKings to take a flier on. Especially on 3rd and short and the goal line, you will see Cam’s legs come into play. I can actually see Cam breaking off a big run and getting close to 100 yards rushing. Through the air is going to be tough, so the way this game is breaking, I can see Cam having an Auburn-esque line. Christian McCaffrey ($7,000 DraftKings, $7,300 FanDuel): CMC is one of the more frustrating players to roster in DFS or season-long fantasy of late. With DFS, the volume he receives warrants his price, yet his lack of TD’s usually leaves him underperforming. I’m glad to see him getting his regular amount of targets the past two weeks. The TD’s will come over time, but as far as DFS goes I would wait for his price to come down. The one bright spot I can see is Cam being forced to check down more often than usual, which would give McCaffrey more opportunity to pay off that top ten DFS salary. If you’re playing multiple lines and run a Panthers stack, he has to be in it. If you’re just playing one line, he’d have to be out of it for me. Wide Receiver: I know I sound like a broken record, but this Ravens D is going to give the Panthers some problems. Fortunately, all of the receivers for the Panthers are reasonably priced. Funchess ($5,600 DraftKings, $6,200 FanDuel) is showing us that dealing Kelvin Benjamin was the right move. He has developed some great hands, which was a problem coming out of college, and has earned Cam’s trust as his #1 receiver. Look for Greg Olsen ($4,200 DraftKings, $5,800 FanDuel) to start getting more looks. He made one of his two receptions count last week, and this week he should get more with Funchess drawing the main coverage. All of the other receivers are in the “punt” range, which means their price is low and that little is expected. Of these, the one I would look towards would be Curtis Samuel ($3,600 DraftKings, $4,700 FanDuel). I’m confident he’s another receiver that’s going to get more touches each week. If he can sneak into the endzone as he did last week, he will easily pay off his DFS salary. Defense/Special Teams: Ah, now here is where I really like where we stand in DFS terms. That sounds odd too, considering we’ve looked suspect on D the last two weeks. The Ravens have a decent running game with Alex Collins and Buck Allen, but I see the Panthers D stepping up stifling the running game. As long as we can keep candidate for fantasy sleeper of the year John Brown at bay, there isn’t a lot here that should scare us if you’re thinking about playing the Panthers D. I think the highest scorer for the Ravens is Justin Tucker, and that should be a good sign. Projections: 7-13 points, 4-6 sacks, 3 turnovers. In a league that has tilted heavily towards offense, I see this being a throwback game for those of you who like great defensive matchups. Unfortunately for you that play fantasy like me, that spells it not being the most appealing of games. The one advantage will be that all Panthers players minus McCaffrey should be extremely low owned, which means that if for some reason this turns into a shootout, very few people will have Panthers players on their roster. We know one thing, this is going to be a close game. Good luck with your fantasy lineups, find me on Twitter or Facebook and ask me any questions, and as always, Keep Pounding!